According to an official statement released via their Facebook page, Northlane frontman Adrian Fitipaldes has left the band. 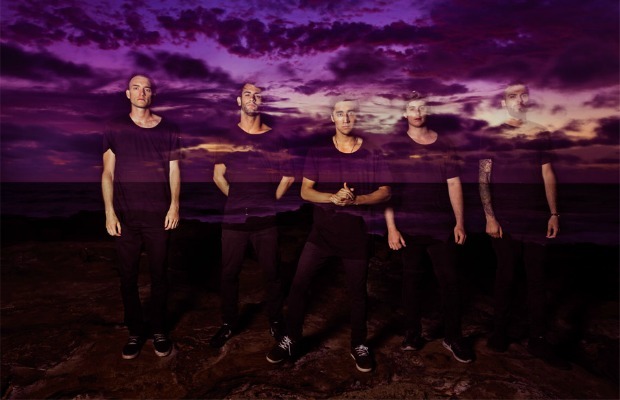 The group commented on the vocalist's departure saying, “Unfortunately, Adrian had found the wear and tear of Northlane and our schedule to be too stressful towards his health, both physically and mentally. What we do is not easy, it takes huge amounts of hard work and dedication, and we respect Adrian for doing what was right for him personally.” You can read the lengthy statement in full below. Despite the loss, Northlane are still moving on in search of a new vocalist, which they will be accepting online submissions for to fill the position (check out the details on how to submit below). “It is with regret that we announce that Adrian Fitipaldes has decided to leave Northlane and will no longer be our vocalist moving forward. Adrian has been a part of Northlane since our inception, but has chosen not to continue on with the band. The four remaining members of Northlane will continue to move forward, and we are looking for a new vocalist. All of our booked dates will happen as planned (either with a fill-in vocalist, or someone new), and we are still working on a new album to be released next year. Additionally we are planning to release new music by the end of the year in the form of a single. We are searching for a new vocalist, and we will be accepting submissions for a replacement. More details are below on that. Northlane is our passion and something we put every part of ourselves into. We love our fans, our music and our art more than anything, and we live for performing live and making music. Unfortunately, Adrian had found the wear and tear of Northlane and our schedule to be too stressful towards his health, both physically and mentally. What we do is not easy, it takes huge amounts of hard work and dedication, and we respect Adrian for doing what was right for him personally. However, for the rest of us, this is our lives, and our dream. We’ve achieved way too much so far to ever consider stopping now. As such, we will continue on with the same passion and dedication that we have put into our band since its inception. We are looking for a vocalist who is willing to dedicate themselves to our band, and to put in the same amount of work we have all put in, to dedicate their lives towards their craft and this band. We are looking for someone to be part of Northlane, who has the talent and work ethic to front our band. We are able to work with a vocalist from anywhere in the world. We are looking for someone with a unique range in their voice that can handle both our back catalogue and our plans for the future, which may include pushing their voice beyond what has been done within our band before. Northlane has always been about progression and creativity, and we want someone to help us continue in that tradition. Everyone in our band is under 25, and our energy and youthful enthusiasm is something that is important for us, so we will be looking for someone within the same age group. Being in Northlane is an incredible journey – we travel the world playing shows to thousands of incredible fans each night – and we want someone who understands and appreciates the opportunities being in this band presents. To submit for the audition process, you are required to lay down vocals over either “Quantum Flux” or “Dream Awake” taken from the instrumental deluxe edition of our last record “Singularity”. We would like if you included a video of yourself performing your vocals as well, just so we can reference you doing it. Please note that we aren’t looking for a carbon copy of what we have already done, we are looking for someone to show their creativity within the songs, so do what shows your voice off as best as possible. With the above included please email [email protected] and remember to include your name, age and location as well as links to any other previous works that you’d like to show us. We know this news might be upsetting, and it might be a shock but we want to thank you for sticking by us in this tough time. All of the amazing opportunities that being in band has granted us are because of all the love and support that you amazing people all around the world have shown us. The future of Northlane is everything to the four of us, and we trust that we have fans who are willing to respect and understand where this announcement is coming from. We promise that we will find someone perfect to complete our band and that we will continue to create the best possible music and live performances we can, and we hope you can look forward to our future as much as we are. As for Adrian, we also wish him the best in everything he has planned. He has been an important part of our journey, and we wouldn’t be here without him. We are extremely proud of the music we created with him, and that music will always be a part of us. We’ll post a statement from Adrian in the coming days so he can connect with Northlane fans through us one last time.